Caritas Jordan launches Youth Voluntary Camp in Madaba. 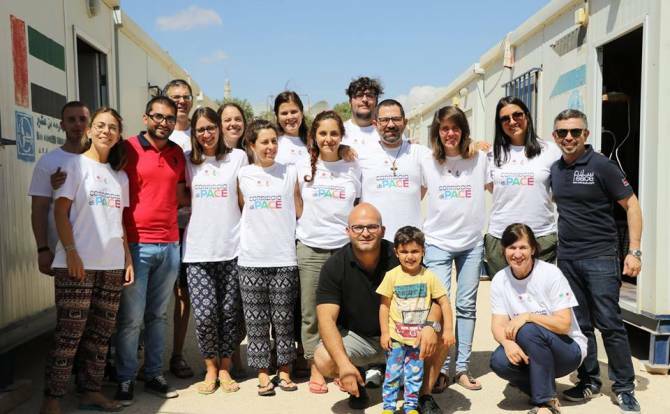 Caritas Jordan has launched a voluntary youth camp, organized in cooperation with Caritas Treviso in Madaba, with the participation of 13 youths from Italy. The September 9-21 youth camp will be implementing activities to serve the local community and support Caritas Centers’ work. The program of the camp entails a number of communal activities, such as environmental field visits, with refugees in certain projects mainly at the Garden of Mercy.